Hii Megha plz consult ur pediatrician urgently having temp more dan 99. 3 is sign of hvg fever due dis ur baby is crying n cracky it may viral fever or due to any infection it may or may not b related to teething plz dnt ignore it. (crocin is banned medicine plz dnt take it ) either u can hv wit u syrup flexon for fever.  Megha ji it's not normal.. since 3 days fever continue is not good for babies... n first make him sponge in every 2-3 hour n visit pediatric.. n if they r not welling to let u go then give crosin drops in 4 hour..
in-laws saying no need to go dr. it happens time of teething. it's normal but I don't think so it's normal. It is definitely because of high temperature. . Please consult pediatric.  9 months old baby and it's teething time baby is s..
Hi my baby is 4months he is on top milk in 10 days..
My baby is now 6 months... What kind of solid food..
On 15 of July my baby will be of 6 months from few..
My baby is 10mnths old... he is suffering from cou..
Hiiiii my daughter is 4. 5 month old . i think fe..